Alfa Romeo Formula 1 driver Kimi Raikkonen reckons losing temperature in his front tyres cost him the chance of finishing best of the rest in the Chinese Grand Prix. Raikkonen finished ninth, 10 seconds behind Renault's Daniel Ricciardo and seven off the Racing Point of Sergio Perez. 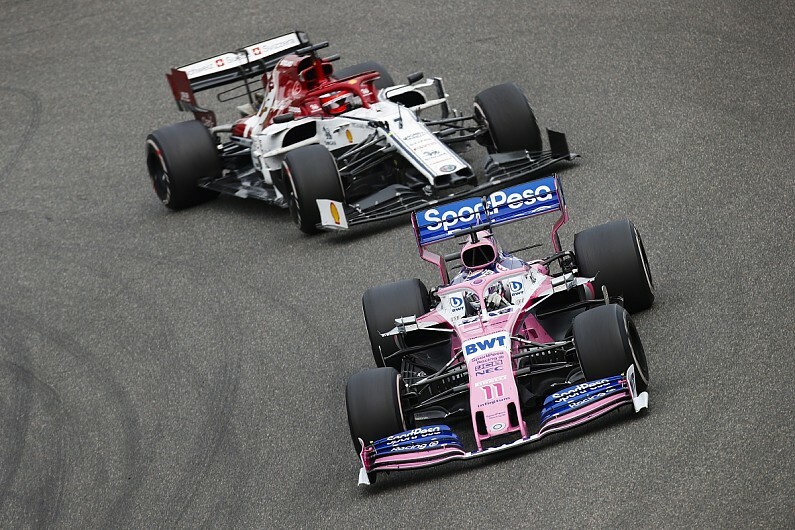 But he had been within DRS range of Perez in his second stint, and Raikkonen thought he would have had a chance of overhauling the pair ahead had he not lost temperature in his hard rubber in the closing stages. Speaking to Autosport, Raikkonen said his Alfa Romeo felt strong on race pace as he pushed through the field following a disappointing qualifying. "We at least got a few points and it is better than yesterday for sure," said Raikkonen, who had qualified 13th. "The car was handling pretty nicely, but in the end I just lost temperature in my front tyres. "I think with my tyres the wear was very good, but it got too cold and I lost the grip in the front so I couldn't push anymore. While Raikkonen added to his points tally and is seventh in the drivers' standings - just one point behind Red Bull's Pierre Gasly - his team-mate Antonio Giovinazzi failed to finish in the points again. After a frustrating weekend that was hampered by reliability woes, Giovinazzi finished 15th after failing to make enough progress from the back of the grid. "I think China was not my weekend, to be honest," said the Italian. "It was [already] a difficult weekend so far, and today we tried to make a different strategy compared to others to try to gain positions, but in the end it didn't work. "This is it, and I just want it to be Baku."